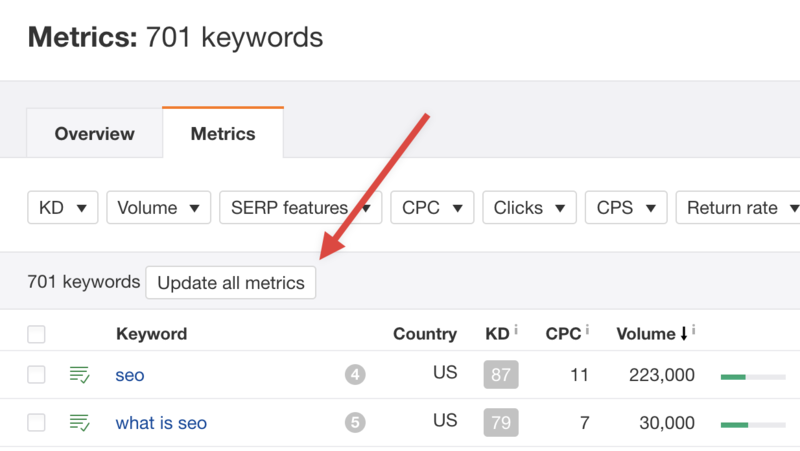 Update entire keyword list with fresh metrics without only doing 100 at a time. Update for entire keyword list has been implemented! Hasn't this been implemented already? Absolutely important, such a pain to go through 13 pages!